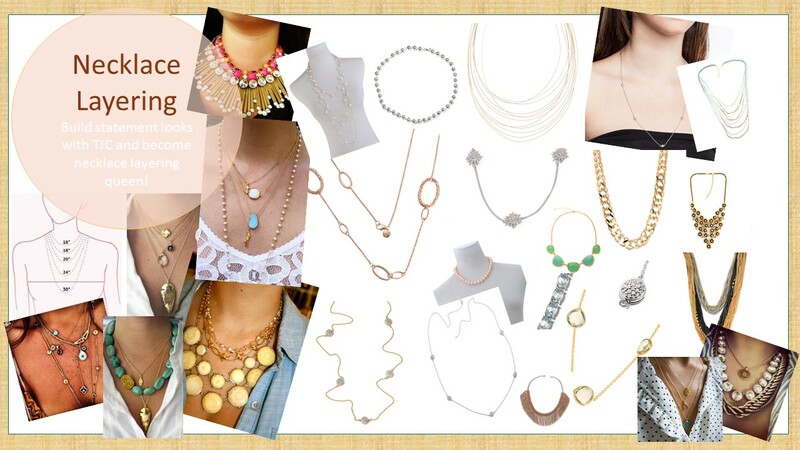 Now we’re back with another for the stacking series – Layering necklaces! The layering and stacking trends have been so popular within the fashion world and everyone else because absolutely anyone can rock it. It doesn’t depend on what a person looks like, yet it’s so unique that no matter what style you prefer, whether gothic inspired jewellery or more fine pieces, there’s something for everyone. Unlike the other variations of layering and stacking, necklace layering compliments the upper half of the body. Even celebrities like Sarah Jessica Parker and Sandra Bullock have caught on, and have been spotted rocking luxurious layers of shimmering metals, muti facested stones and other embellishments which skim over their collar bones and further down their chest. Take some layering inspo from our mood board above and perfect your summer layering style. Remember rock whatever you think looks best, but mix it up to achieve the most unique and unusual layering styles and necklace pairings. If you see anything from our moodboard that you wnat to make yours check out our Necklace Collection or simply browse our Pinterest board which features all the pieces from TJC! Follow The Jewellery Channel ‘s board Layering Necklaces on Pinterest.